What makes a person get in their car and drive for hours for something they could get around the corner? For some folks, this is what makes a good barbecue. For others, it should only be used as a condiment. We won't resolve that debate here, but I will give you plenty of BBQ sauce recipes. Enjoy. The celery pieces make a tasty snack for the cook. In a saucepan, melt the butter over medium heat. Add the onions and saute for 6 to 8 minutes, or until the onions begin to turn golden. Stir in the remaining ingredients, reduce the heat to low, and cook until the mixture thickens, approximately 20 minutes. Stir frequently. Use warm. The barbeque sauce will keep, refrigerated, for a couple of weeks. Melt butter in a saucepan; add the chopped onion, and minced garlic, until they just begin to brown. Add white wine vinegar, cinnamon, whole cloves, dry mustard, chili powder, brown sugar and ketchup. Stir, then add water and blend. Bring to a boil, lower heat to simmer, add salt and pepper to taste, and simmer for about 20 to 30 minutes. In a medium saucepan, combine all ingredients. Bring to a boil. Reduce heat to medium-low and simmer, covered for 30-45 minutes or until sauce is thickened, stirring occasionally. Strain if desired. Season with hot pepper sauce. Add the onion and 1/2 cup of the juice to a blender and puree until smooth. Transfer to a medium-size saucepan. Add the remaining ingredients to the saucepan and bring to a boil. Simmer for 25 to 30 minutes. Set aside to cool. Barbecue sauce keeps two weeks in refrigerator. 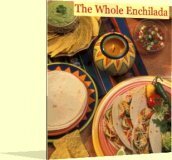 Want to learn more cooking techniques and Mexican & BBQ recipes - delivered monthly to your inbox?